Many Rare and Unique Varieties! Over 1000 varieties of Tomatoes and Peppers. Find us at the Marietta Square Farmers Market this Saturday April 16th! We will be setup just across the railroad tracks. Welcome to my website. I am an organic vegetable grower specializing in heirloom tomatoes and peppers. I have over 1000 varieties of tomatoes and over 100 varieties of peppers (including many superhots) in my collection. 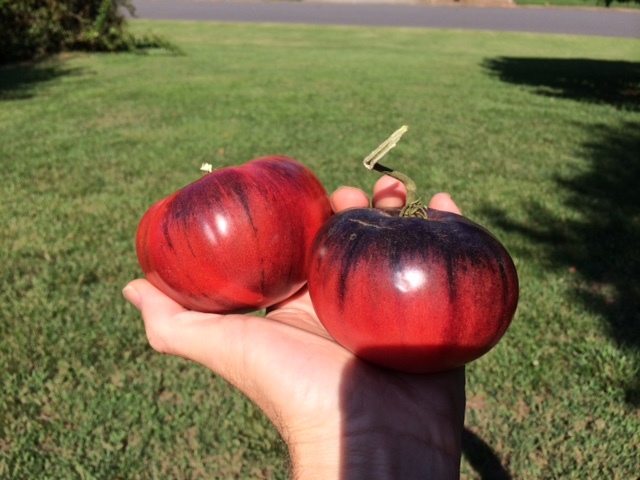 My tomato collection includes some of the most unusual and unique tomatoes that you will ever see! In addition to growing my own plants, I also grow seedlings for sales. 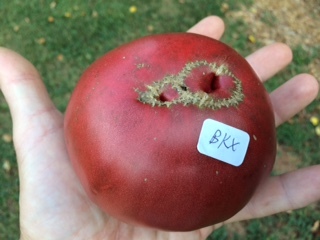 I sell heirloom tomatoes, peppers and other vegetable plants at the Marietta Square Farmers market in the Spring. 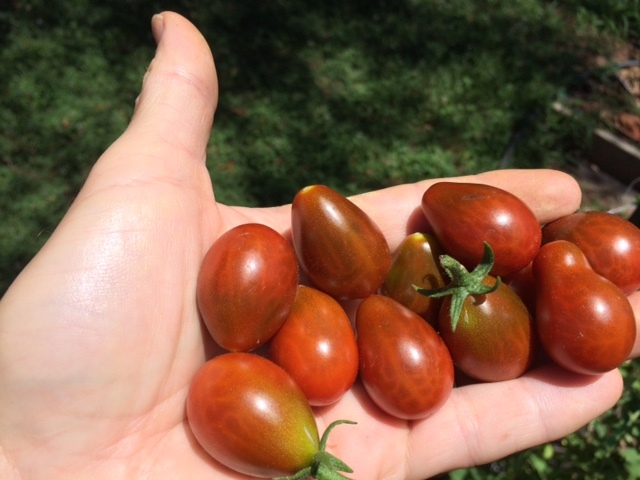 You can find a listing of all varieties that I am growing for sale on the Plant Variety Listing page. Some varieties are VERY RARE and I will only have a few plants available. If you see something that you would like to reserve, please contact me via email at bryoder26@gmail.com. 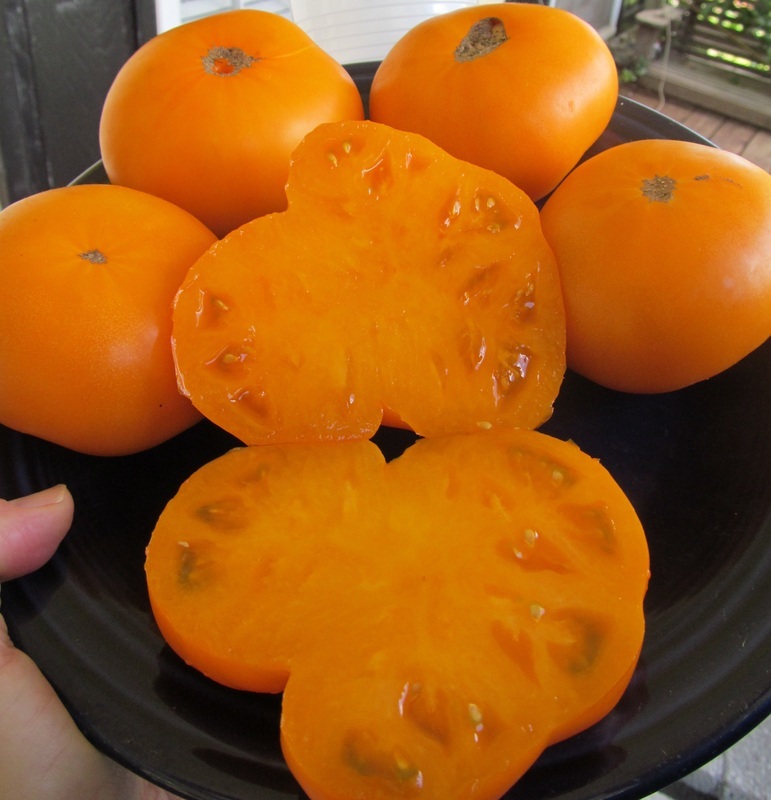 My BLOG page will contain photos and descriptions of some of my favorite tomatoes and peppers. 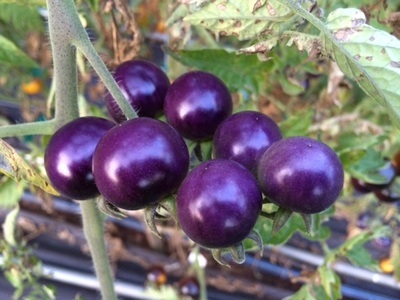 Some of the most unique tomatoes that I grow are the "BLUE" tomatoes, the "Dwarf" tomatoes as well as many different zebra striped tomatoes.